Exciting things are about to happen! I have been waiting for this day for such a long time. I have also been praying that this would as much of a blessing to you as it is to me. Before I get to my announcement, I would like to show you my latest project. 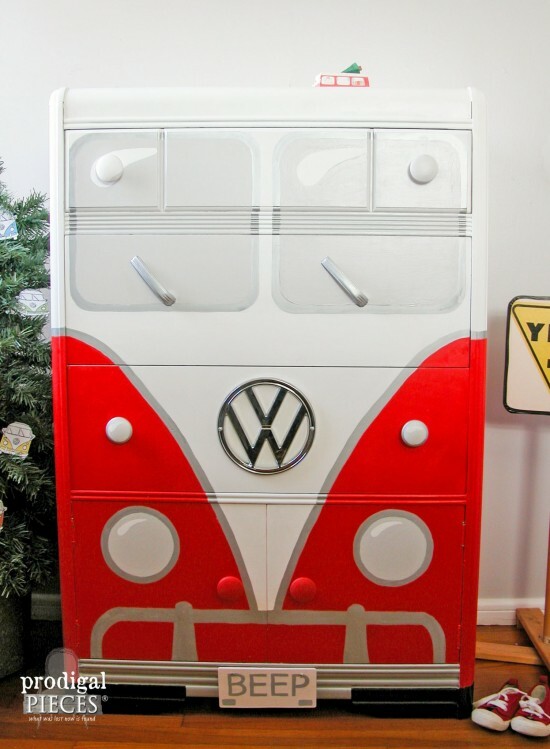 Back in August I created BEEP – my garage sale freebie turned Volkswagen Bus. Little did I know how BEEP would make such waves in the internet world and be showcased in blogs around the globe. It’s been an exciting ride! He’s been going viral again thanks to some new features by enormous businesses that I believe were not coincidental, but providential. 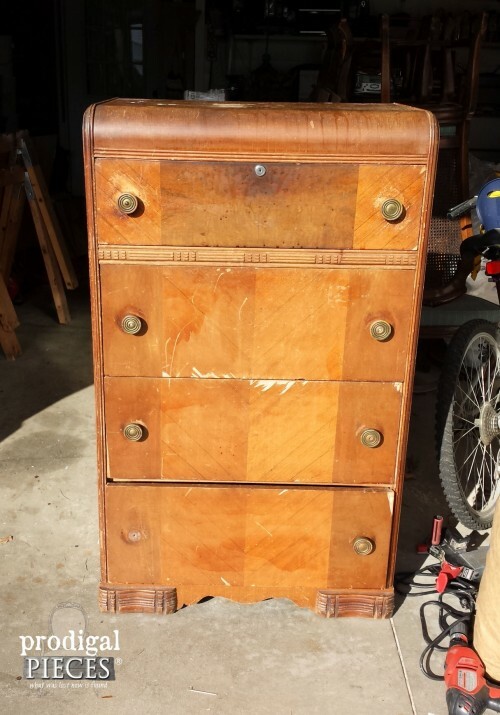 Here’s why….enter in a second Art Deco waterfall chest of drawers found on Craigslist. Before I ever became a blogger, I actually read blogs (who has time for that anymore), and one lady that inspired me to no end was Lier (aka. Lorraine) at Ikat Bag. She is witty, a seamstress like none other, and did something I wanted to one day replicate, Lord willing. She created a gorgeous purse and auctioned it off with the intent of 100% of the proceeds going to Samaritan’s Purse. How cool is that? I told myself if I was ever in the position to the something like that I would do the same. So…here is my contribution…my BEEP II in the works. 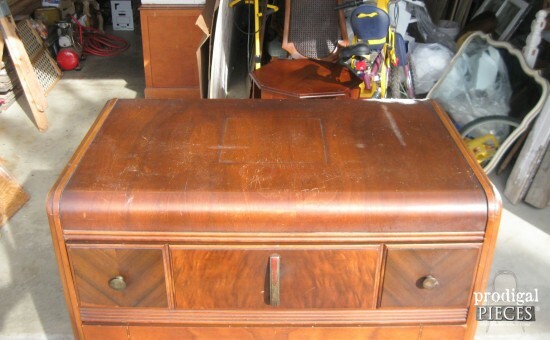 In great shape for the most part, but missing some veneer and needing some TLC – thankfully nothing like my first BEEP. I was overjoyed that I could use my HomeRight Finish Max Sprayer this time around to prime and paint most of the colors on. What a time-saver!! Dressed up in 100 MPH red, he’s spunky and ready to help me do my part. My husband built a custom drawer to go into that massive empty space behind those doors. As a mom of 6 kids, I knew what a headache it would be to make use of that space. 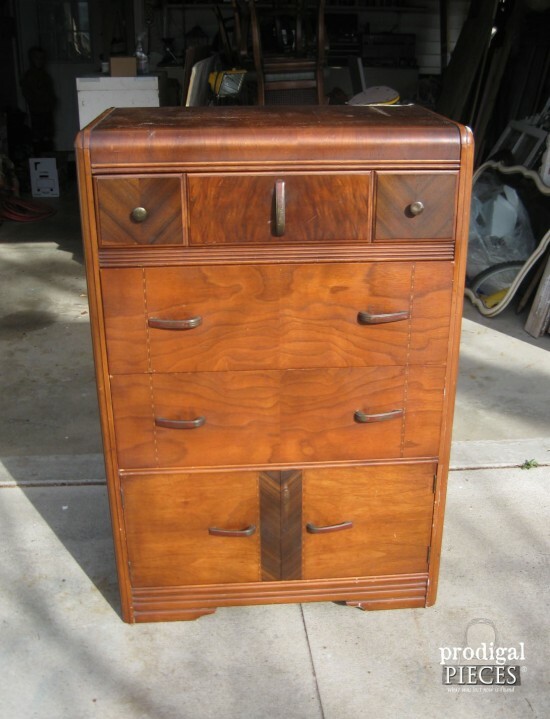 Consider this a “spare” drawer. tee hee. 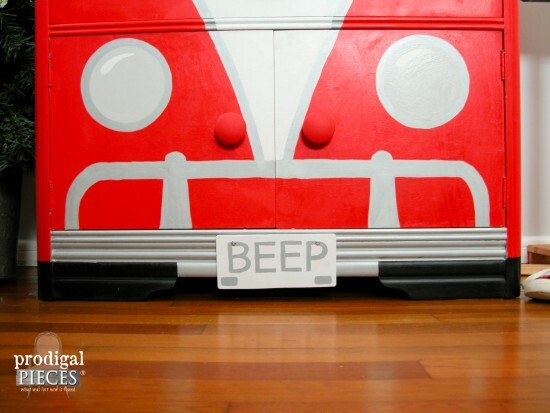 Coming up, BEEP II will be auctioned off on eBay with all proceeds going to Samaritan’s Purse. To say I’m excited is an understatement!! 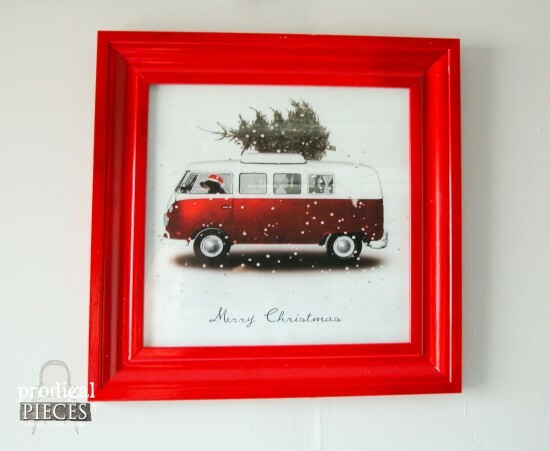 I had so much fun when I found all these little VW buses decked out for the holidays, like this graphic I had made into a print. I couldn’t find the source, even contacted the site it was pinned from. She said she grabbed it off of Google. tsk. 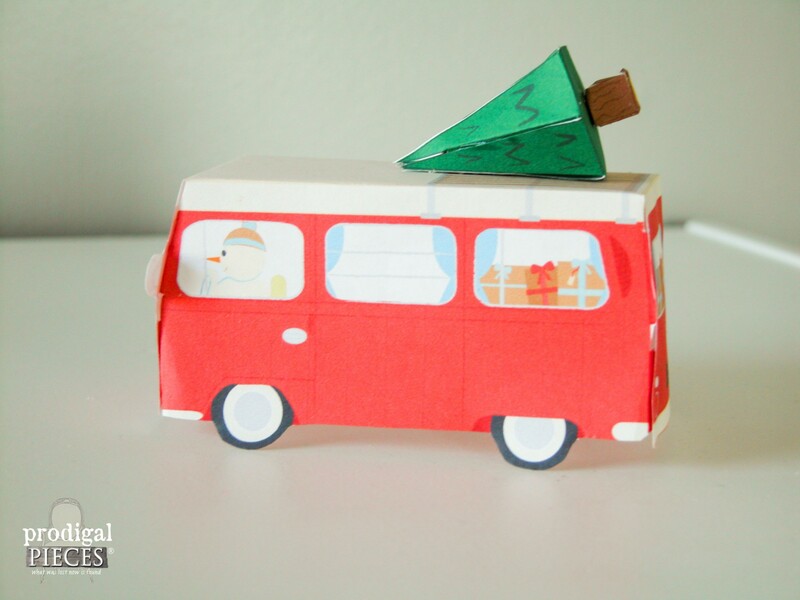 How cute are these little paper buses with snowman at the wheel with tree on top. You can find it here. 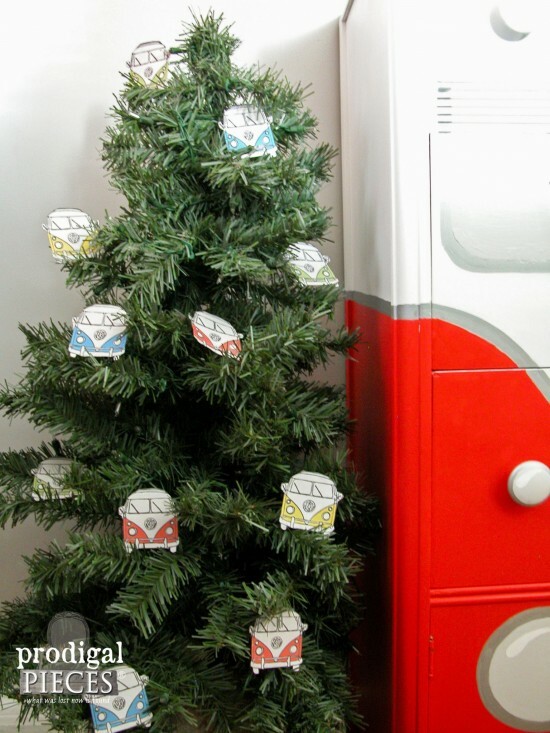 I even decorated our little tree with buses for this special occasion. Did I say I was excited? My whole family and I contributed to make this possible. I even have had a fantastic group of sponsors step up to make this whole event come true. Confessions time: When starting this idea, I knew that I would be sacrificing time and income to make it happen, neither of which I have in any shape or form to spare. I made sure my husband and I both agreed that it was okay to give up the opportunity to earn. However, I was still very nervous though I had confidence God would take care of us. Just after I told Him that I would go ahead with this project, a lady contacted me via my shop requesting a custom BEEP. A couple of days later, my son came home from his daily bike ride to tell me he found another waterfall chest two streets over from our house sitting curbside. Meet BEEP III. To say this is coincidence would be lacking on my part. I believe God provided me income in our time of need, just like He has always done in the past as I mentioned in my hospital stay post. God is GOOD! In the last few weeks, I have also been touched immensely through watching what Joey and Rory have had to endure. If you’re not familiar with their story, please take a minute after this post to read. You will come away inspired – promise. 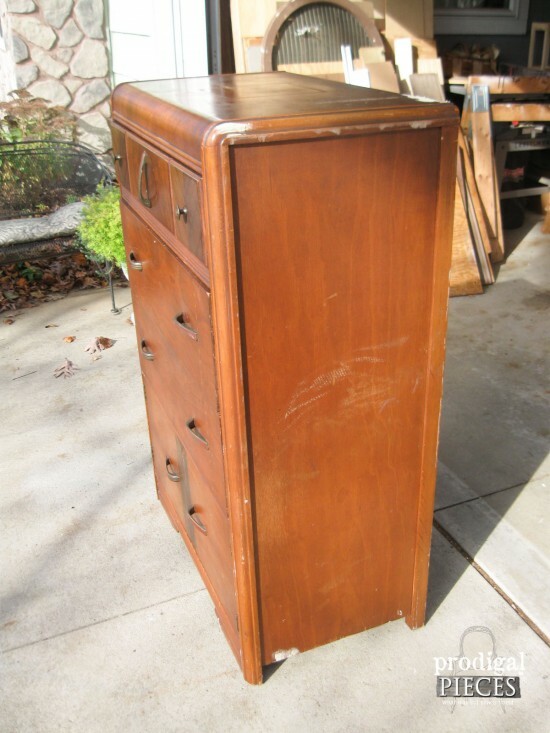 Our prayer is that the auction of the chest of drawers would be used to His glory and we felt the best place for this to be used was through Samaritan’s Purse. If you’re not familiar with this organization, you can read more on their page. Their primary focus is proclaiming the word of God around the world while providing relief to those who need it most, like in disaster situations and third world countries, and even here in the U.S.
Won’t you please mark your calendar, pin, share, and spread the word that the auction goes live on Monday November 30th at 7 AM. Not only that, but I will also be gifting one of you with a Redeeming Furniture prize package with a value of $350. WAHOO!! UPDATE: Auction has ended and donation was made and BEEP II made it to his new owner. 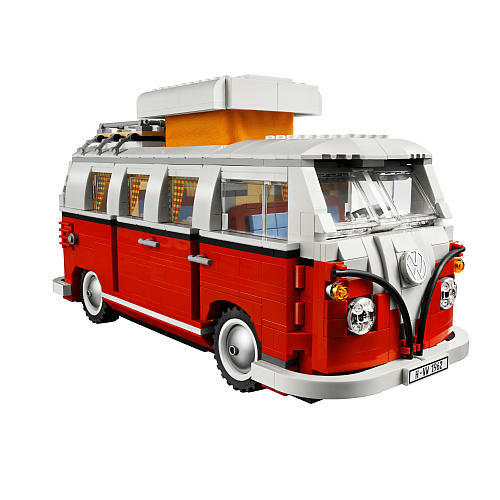 I hope you have been encouraged today and you have also enjoyed meeting my Volkswagen bus, BEEP II. ♥ (BEEP III is nearly complete.) May you all have a blessed holiday season! God is good!!! He takes care of those that are good and gracious! Happy Early Christmas!! This is beyond amazing! All the time. 😀 You too my dear! This BEEP turned out fantastic! Red is my favorite color. What a great opportunity. Thank you for being such a blessing to so many, including me. I love seeing all of your creativity and hearing about your family and how they all work with you. I hope you have a wonderful Thanksgiving. That is so wonderful to hear, Adina. Thank you so much! May you truly have a blessed Thanksgiving as well. Beep II is awesome!! I know that the auction is going to be a roaring success for Samaritan’s Purse. It’s a fun color, isn’t it? Thank you so much, Kelly! You are amazing and such an inspiration! Thank you!! God is so faithful. If we will learn to step put and do what we know is right, He will reward us. Now I must say that the cutest part of the whole story is your son being the one to find the curbside waterfall! I love that even they are on the lookout for treasures for us to restore. My daughter has gotten to be the same way. 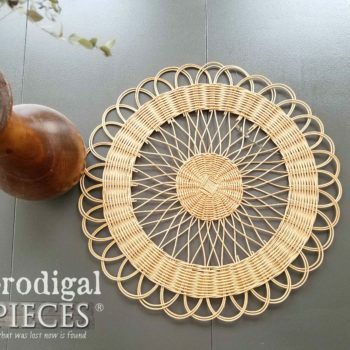 I love reading your blogs and seeing your projects. They have truly inspired me. I hope you and your family have a blessed Thanksgiving. I cant wait for the live auction on the 30th. Will you be posting a link to it on your blog? Yes, He is all.the.time. My son was so funny. He went on his ride and about 9 pm that evening he said, “Oh, I forgot to tell you…there’s another chest over on the other street.” I said, “What?! !” Grabbed my hubby and we jetted out the door. Whew! The link to the auction will be in my post going live on the 30th. Thanks! Beep II is even cuter than the first one if that is possible. You have reconfirmed if we have faith all will be well. And how true that it is better to give than receive. Good things will come your way. I am honored to know you through your blog. Yes, that red is a fun twist from the first one, isn’t it? Thank you for making my day, Debra. I have to admit, it ain’t always easy for sure. Blessings to you! I love the beeps! The spare drawer is a perfect addition. Beautiful Larissa…the VW…the divine intervention…the organization you’ve done this for. Just beautiful and I WILL be sharing where I can my friend. Happy Thanksgiving to you and your family! story! 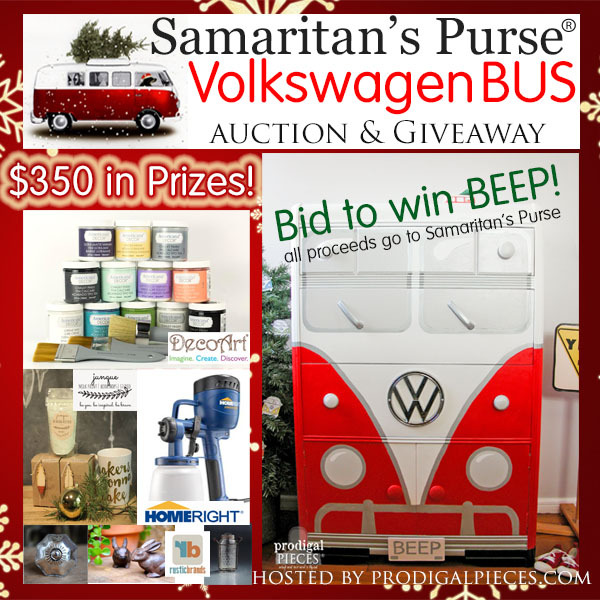 Absolutely love it, Larissa, and know the auction will be a huge blessing to Samaritan’s Purse. Pinned it and shared on FB! That’s awesome to hear, Angie. Thank you! You are such a good person! What a lovely thing to do for the glory of God. My Mother used to always say that our prayers are always answered, sometimes it takes awhile and always better than we ever expect, we just have to have faith. This is an example. Many you have an abundance of blessings and Happy Thanksgiving! Your mother is a wise woman, indeed. It certainly can be hard to wait to see Him move! 😉 Thank you for stopping by and many blessings to you too. The red beep came out amazing! 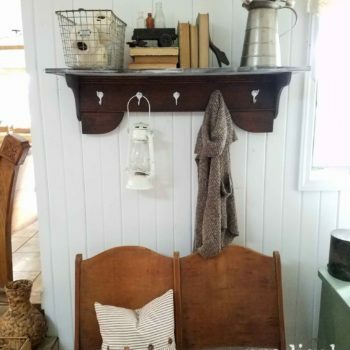 LOVE LOVE the drawer to go with it. Awesome! Thank you for the love, Randi! It’s a fun project to do. Larissa, I’m ashamed to say that I have been following you for about 6-8 months now, and I’ve never commented before. I was absolutely flabergasted that you came up with Beep I! How very creative!! Now Beep II in Red, oh my gosh, it’s sooo cute! But to hear that your heart wanted to share in the vision of Samaritan’s Purse really hit home with me. 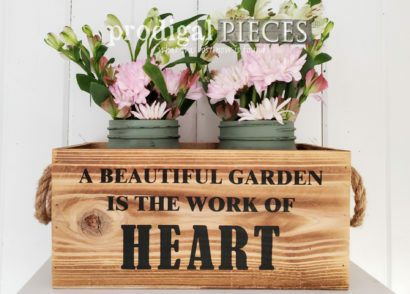 How thoughtful and faithful you are to encourage your family to be a part of your giving as well. I am very honored to know you, and I know that the Lord will bless you richly for your efforts to bring honor and glory to Him in this way. I can’t wait to see Beep III. Maybe it will be a girl? How fun is all this. Keep up the good (and hard) work, dear friend. You are on the right track! How wonderful to hear, Judy! I stalk blogs too, so it’s all good. hee hee. I pray that the auction multiplies blessings beyond the financial end and God will take it farther than I ever could. BEEP III is a twin of my first BEEP, as my client loved it and missed out on purchasing it. But one day, I will do another color for sure. Have a great day! Love BEEPII!! 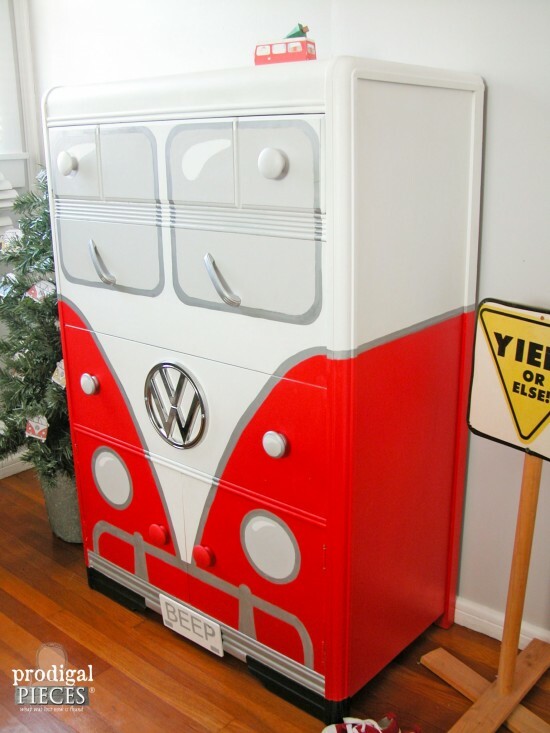 The red is perfect & I adore the “spare” drawer! Great job as usual! Great cause for the auction. Had never heard of it until today but from what I read about it it’s a very worthy cause. Happy Thanksgiving! 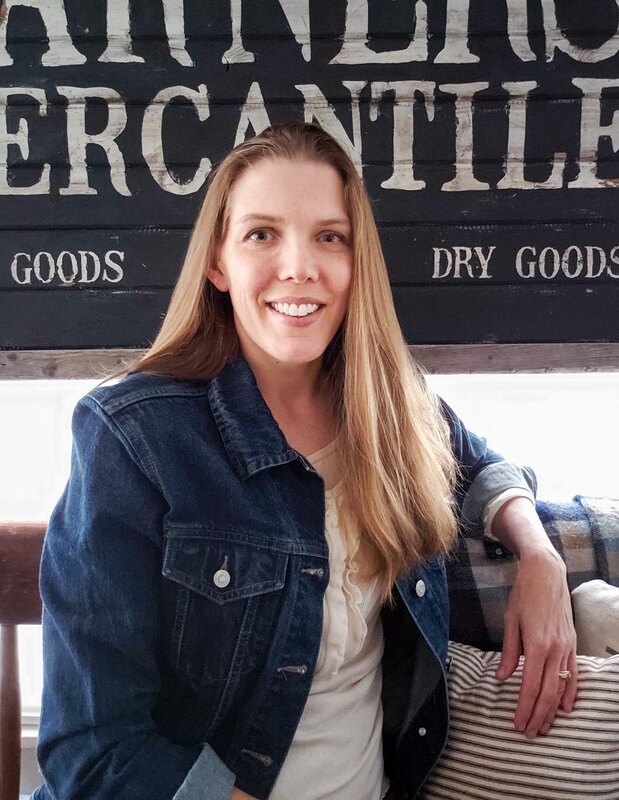 I am so thankful for your blog, you inspire me to try things that I have not yet done! Thanks so much, Sherry. I’m so glad you’ve found Samaritan’s Purse – they do amazing things for sure. 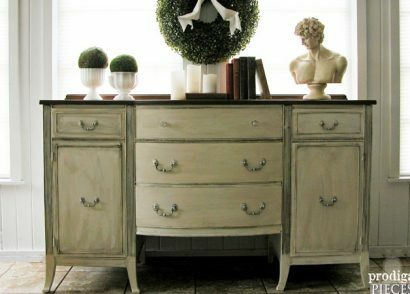 I love how your transformed this dresser. Beautiful and so cool. You are so inspiring. Love how the “Beeps” keep turning up. God does indeed work in mysterious ways. I’m a big Fan of Joey and Rory and my heart breaks for them. May you have a blessed and wonderful Thanksgiving. Thank you, Kim. Yes, they keep showing up in mysterious places. ha! May you too have a wonderful holiday season. Beep II is just as fantastic as Beep I. The spare drawer is such a fun surprise too! Thank you for sharing your talent with us and for having such a giving heart. You inspire me, Larissa! Wishing you and your family a very Happy Thanksgiving. I am so excited about this raffle Larissa, this is a wonderful thing that you are doing!!! I am not sure if this is where I post my favorite Christmas tradition, but here goes! Gingerbread cookies…lots of them, my kids say it isn’t Christmas without them! It takes me three days to make the 12 dozen that I make every year. Yummy! Yay!! I love any kind of spice cookie and, yes, wouldn’t be the same without them! I follow you on instagram? Could you please tell me where you got the decorations for the Christmas tree? 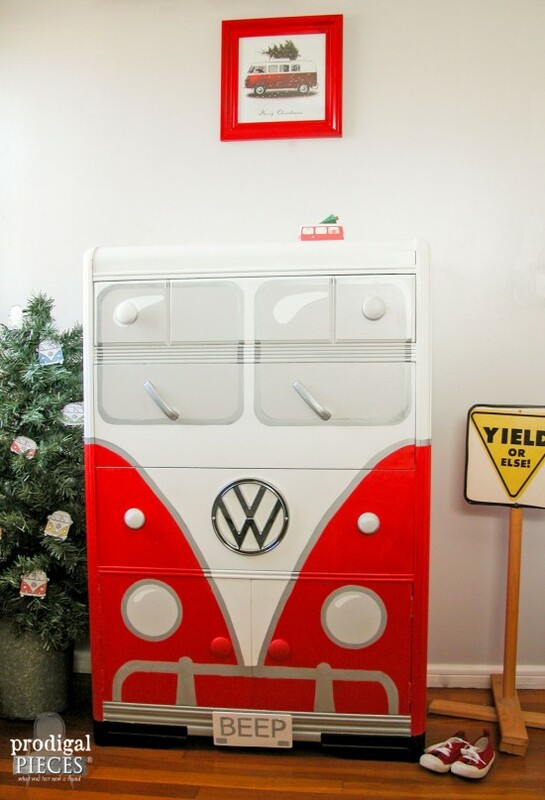 We have a 71 VW bus and I’m doing a dresser for my daughter’s first apartment. I would like to do a tree, as well. It is adorable! Also, did you hand paint the design or do you have a stencil to download? Thanks so much for any info! Awesome work! 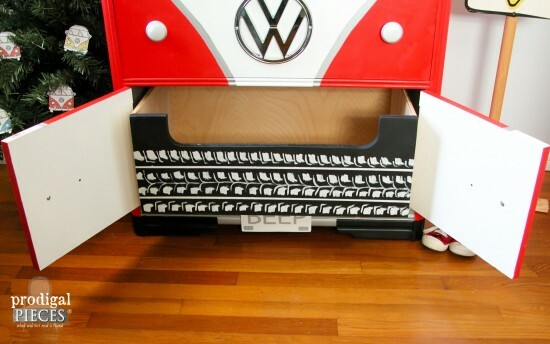 I found them on Pinterest by searching for VW stuff. Thanks so much! I did handpaint, so no stencil. I hope you have fun with it! 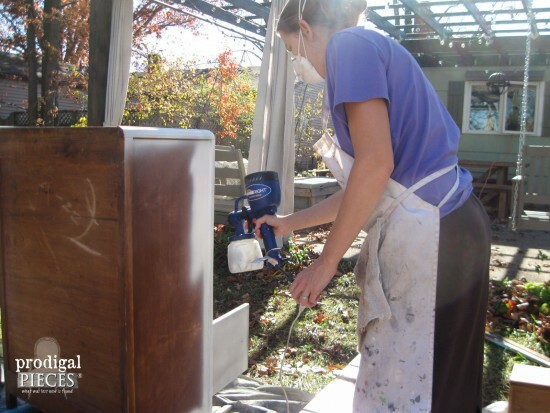 Did you sand the dresser or just prime it? I had to make repairs, and part of that was sanding. Then I just painted, no primer. Thank you for haring this! 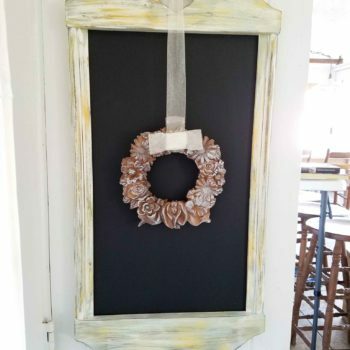 I would love to try and make one but I’m not very good at free handing. 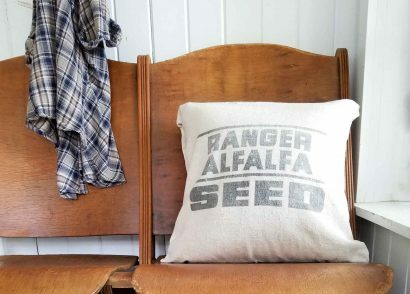 Is there a stencil I could purchase?